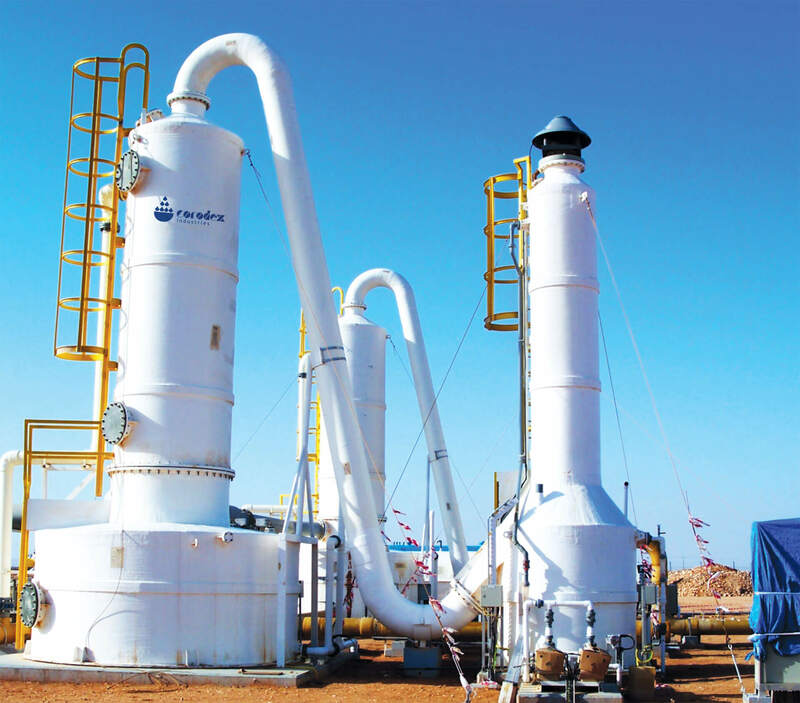 Forced Draft Degasifiers are used to remove unwanted gases (i.e. Hydrogen Sulfide and Carbon Dioxide) from raw water. The degasifier removes gases by passing the water over a packing media that helps the water form a thin film over the surface area of the tower. A counter current airflow is introduced at the bottom of the tower that travels upwards. Corodex forced draft degasifiers are constructed from Polyethylene (PE) or Glass Reinforced Plastic (GRP), with SS 316 distribution nozzles and polypropylene stripping media. Corodex degasifiers can be factory assembled complete with blower. The collection tank, circulation pump, chemical injection system and control panel are available as optional items.